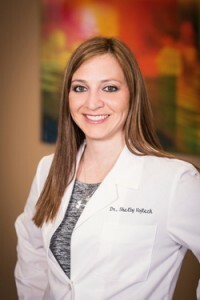 Dr. Shelby incorporates chiropractic, rehabilitation, massage therapy, and nutrition into her practice to give her patients the best possible care. 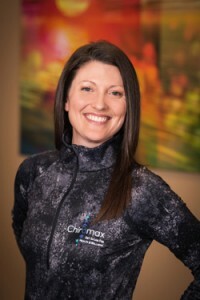 Chiromax will provide remarkable patient outcomes by striving to reduce pain, increase strength, improve flexibility and range of motion, and restore function. Dr. Shelby and the Chiromax staff have been serving the healthcare needs of patients in Northeast Ohio area for over six years. 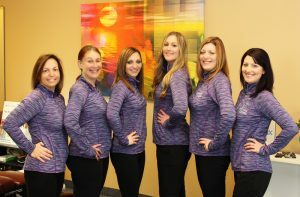 The Chiromax team can be found both inside and outside of the office, as we offer healthcare and therapeutic massages at sporting events, community events, festivals, and anywhere our services are needed. Many athletes trust Chiromax Chiropractic to attend to their sports-related injuries for a quick return to the playing field. 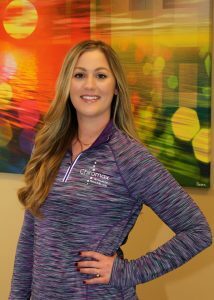 Dr. Chelsea Warnecke has lived in the Akron area since graduating from Chiropractic School in 2015. She is originally from Kalida, Ohio, a small town in Northwest Ohio. Dr. Chelsea received a Bachelor’s degree in Biology with a concentration in Exercise Science from Wright State University in Dayton, Ohio. While at Wright State University she was very involved in Campus Recreation: teaching group exercise classes, personal training, and working as a lifeguard. Dr. Chelsea received her Doctor of Chiropractic degree from Logan College of Chiropractic. While in St. Louis, her passion for athletics led her to become an active member of Logan’s Sports Council. During her clinical training, Dr. Chelsea had the amazing opportunity to work with Dr. Kelley Humphries at Logan University Chiropractic Clinic at Paraquad. During this internship, she treated patients with physical disabilities in an integrated clinical setting, working alongside occupational and physical therapists. While at Logan, Dr. Chelsea obtained certification in FMT 1 and 2 taping through RockTape and Instrument Assisted Soft Tissue Mobilization (IASTM). She has extensive chiropractic training in Diversified, Cox Flexion-Distraction, Thompson, and Logan Basic Technique. Dr. Chelsea enjoys working with athletes and patients of all ages. Treating patients with a whole body approach to help them obtain their health and wellness goals has always been her passion. In her free time, Dr. Chelsea loves to run, practice yoga, read, and spend time with friends and family. Colleen Wright is a native Clevelander who relocated back to the area with her young daughter. She is a graduate of Kaplan University, where she excelled in her studies in medical billing and coding. Colleen has devoted much of her time and energy helping Dr. Shelby and the team to assure patients get the best care possible. She is by nature a wonderful care giver. In her spare time, Colleen loves being with her daughter, who is involved in many activities. She also enjoys reading, traveling and spending time with family and friends. She is a dedicated member of an exciting medical office and is eager to see Dr. Shelby and her team succeed. to muscles, tendons, and fascia using various massage modalities. problems through careful attention to the client’s history. body pains incurred during her six years in competitive skydiving. yoga and Pilates reformer which she also teaches. 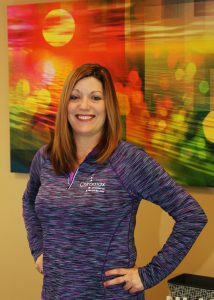 Christy graduated from The Ohio College of Massotherapy and became licensed by the State Medical Board of Ohio in 2003. She has worked in Chiropractic Clinics as well as in Spa settings throughout her career. 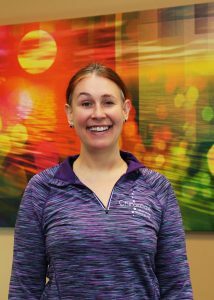 Christy has experience with acute and chronic pain, headaches, pelvic imbalances, strains, maintaining flexibility in runners, general muscular tension and more. She has been practicing yoga and cleansing of the body and mind for over 16 years. She has also been practicing energy work since 2001. She has earned an APP certificate in Polarity, a Level One certificate in Pranic Healing, and completed her Reiki Master training in 2011.